To give a complete helpline for passport application, here is the list of DFA branches in the Philippines and abroad. Below is also a list of the different consulate offices in the country as well as abroad. 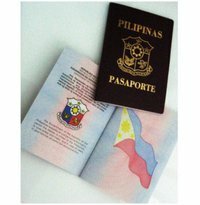 You can find a guide on how to extend validity of Philippine passport. Here is the complete list of consulate offices overseas for the benefit of all the OFWs who are either working, have migrated or is already permanently living abroad but is still looking to visit the Philippines for some time to see relatives and loved ones once in a while. If you believe that passport is still very essential for you even if you are overseas or living elsewhere, here is where you try to look for the different consulate offices of the Department of Foreign Affairs.